Disclaimer: This article was first featured here and republished with changes on the Scientix blog, with Ivo Jokin’s consent. The Scientix blog is not responsible for the correctness of any information featured in the post. 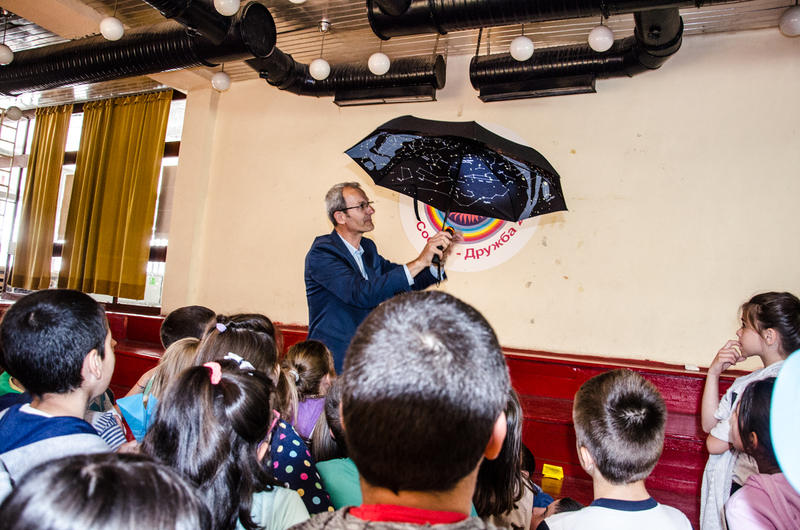 Multi Kulti’s Children’s Programme continued on 30 May 2017 with 4 astronomy workshops hosted by Ivo Jokin from the Municipal Centre for Extracurricular Activities in Baykal and national coordinator of Space Awareness as part of the Spring celebration at 163 School in Sofia. 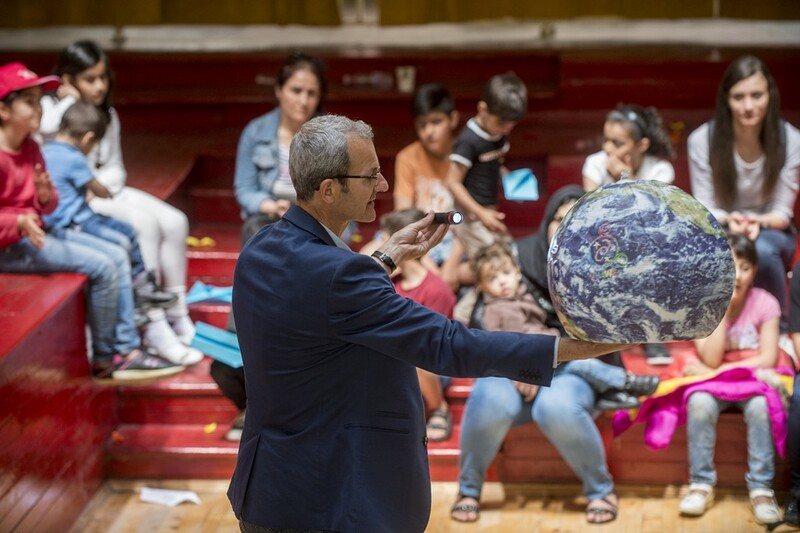 Bulgarian and refugee children from Syria, Iraq and Afghanistan learned more about the cosmos, stars and planets, while playing with Ivo’s interactive games. They especially loved his magical star umbrella (see below). We’d like to thank 163 School, Ivo Jokin from the Municipal Centre for Extracurricular Activities in Baykal and Space Awareness, The Refugee Project and CVS-Bulgaria. The Multi Kulti Collective Children’s Programme is running for a second year. It aims at bringing together Bulgarian and migrant/refugee children in order to overcome social barriers while participating in cultural, educational and sports’ events. Children and youth between the ages of 6 and 18 have the opportunity to get to know each other in a safe informal environment, to increase their knowledge and improve their skills, to have fun and create common memories and friendships. The Programme has been actively supporting the two-way integration and building bridges between different cultures thus enabling children to live in a community free from prejudice, discrimination and xenophobia.